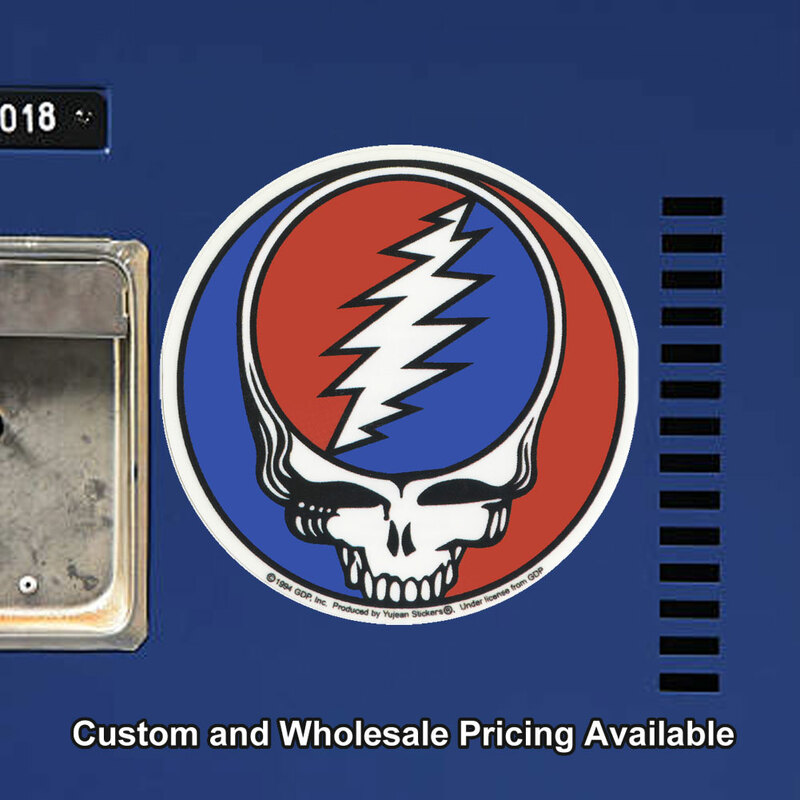 Here we have the classic Steal Your Face, originally designed by Owsley 'Bear' Stanley and rendered by Bob Thomas. 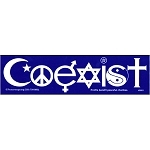 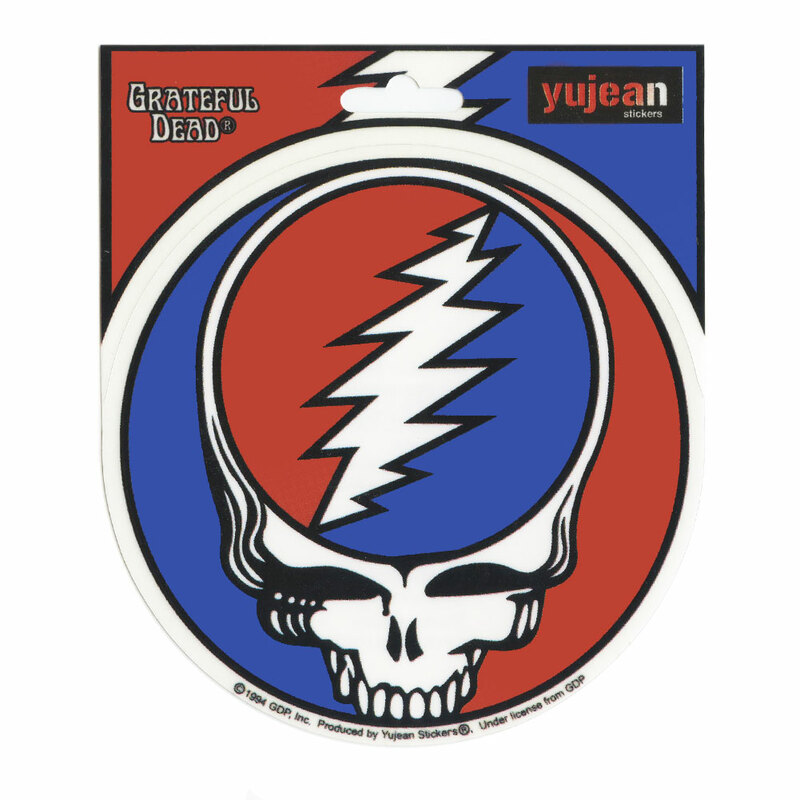 This sticker has the skull, cracked and divided by a lightning bolt that divides the head into two hemispheres. 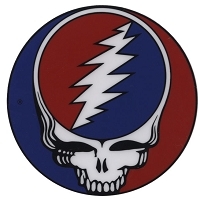 Originally the circle with the lightning bolt in red, white and blue stood alone as a logo to mark band equipment. 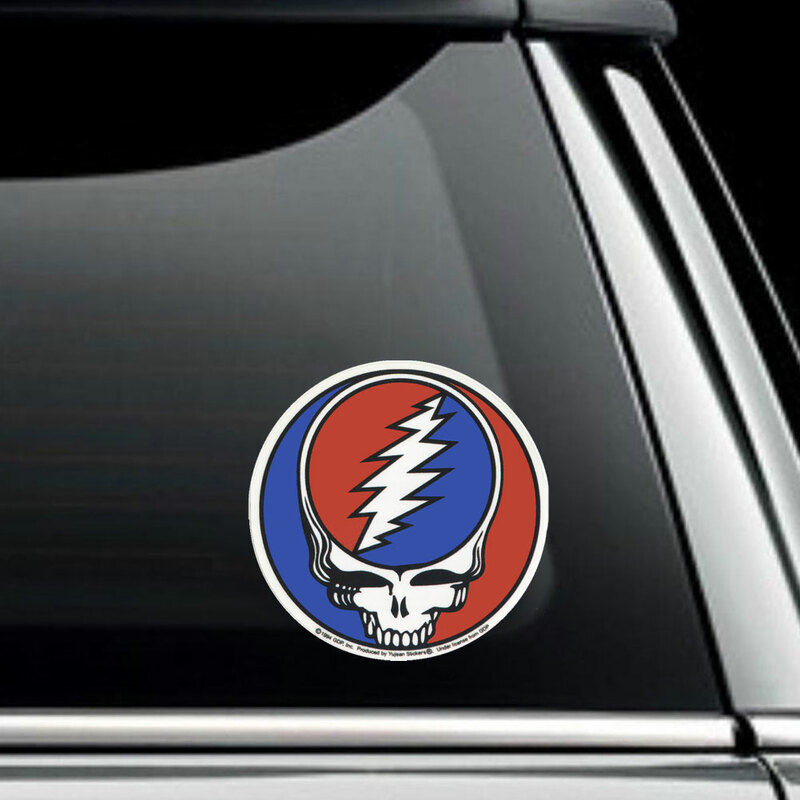 The skull was added later to signify Grateful Dead. 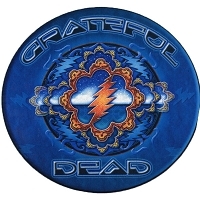 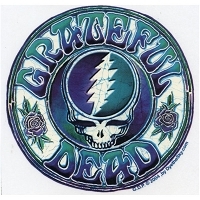 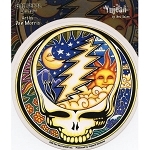 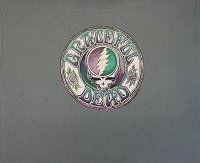 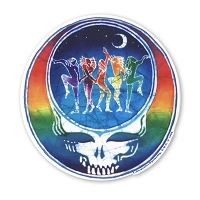 Later the design was added as a graphic element on the album sleeve of self-titled album The Grateful Dead. 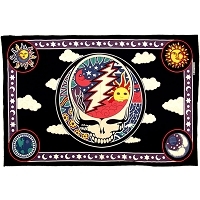 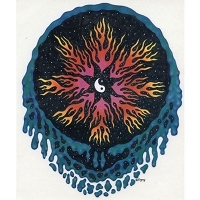 Later included to adorn album cover art for the Grateful Dead's early album History of the Grateful Dead Vol. 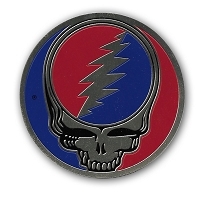 1 (Bear's Choice). 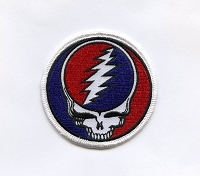 A live double album Steal Your Face released in 1974 solidified this patriotically colored icon as the definitive Grateful Dead symbol.